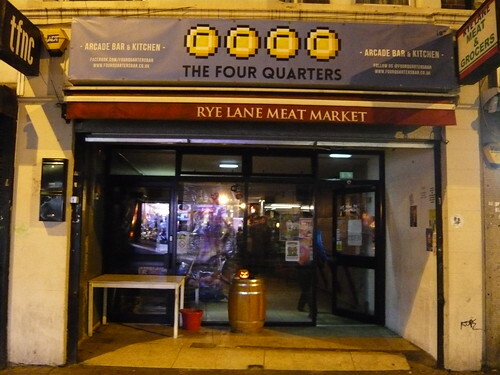 The Four Quarters is a new arcade bar located in Peckham, South-East London. Two of my all time favourites. 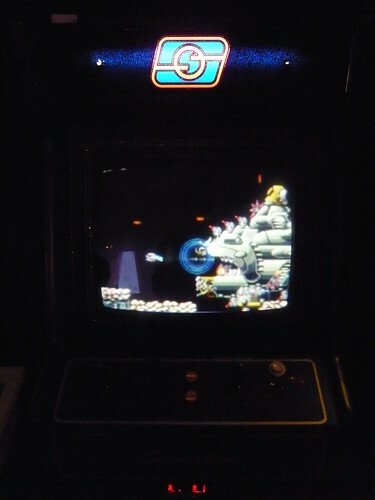 So good to see and play this Irem classic again in a UK arcade, with the Bydo Empire proving to be just as unforgiving as ever. Big money, big prizes, I love it! 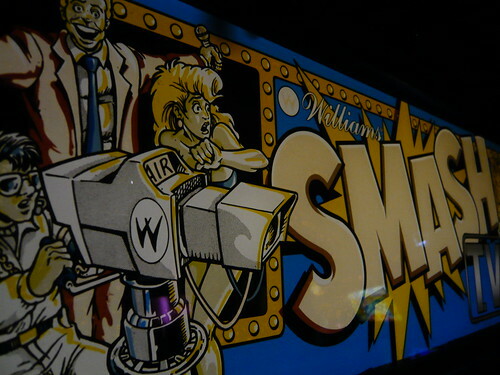 I remember playing this down the seafront and then spending hours playing the Super Nintendo conversion. It’s been years since I last played it. 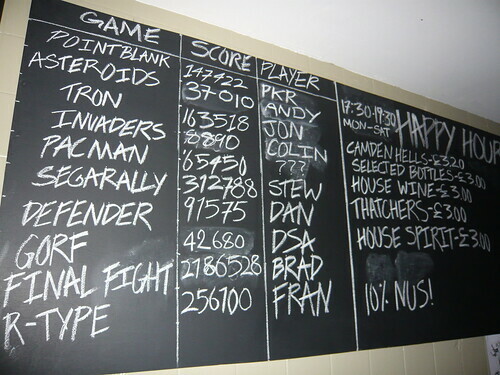 Unfortunately my game hasn’t improved and I’m ashamed to say I had to credit feed to get to Mutoid Man. 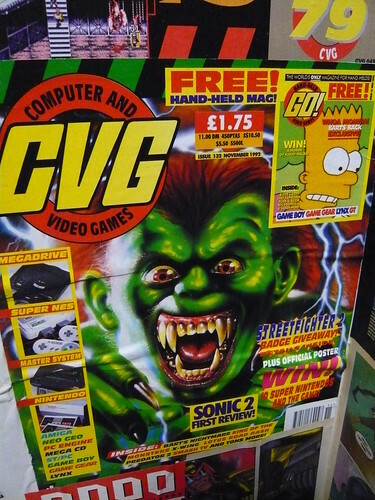 I remember when this was released and spending all of my pocket money on it, it has a lot to answer for! Still just as much fun today, the game was played pretty much non stop the whole time I was there. 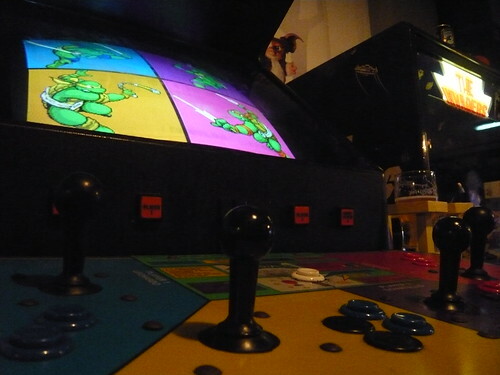 I’ve actually wanted to play this for a long time. I don’t recall ever playing or even seeing one before. 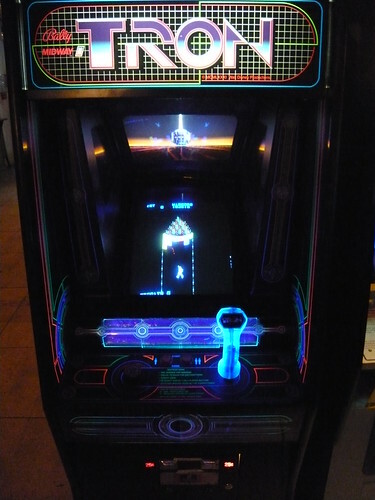 The first thing that strikes you is the aesthetics - the artwork and sharp luminous lines, the backdrop and backlight between the screen and controls, the joystick and spinner, it’s stunning. 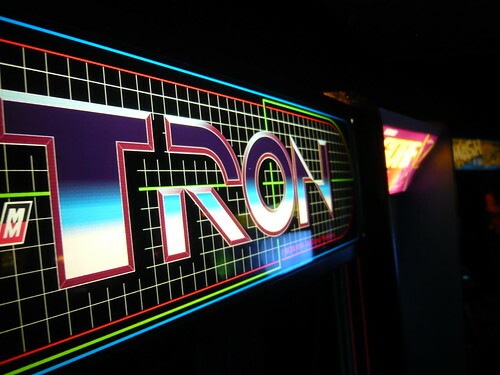 IO Tower Game – destroy Grid Bugs to clear a path to the flashing circle, which must be entered before the timer expires. 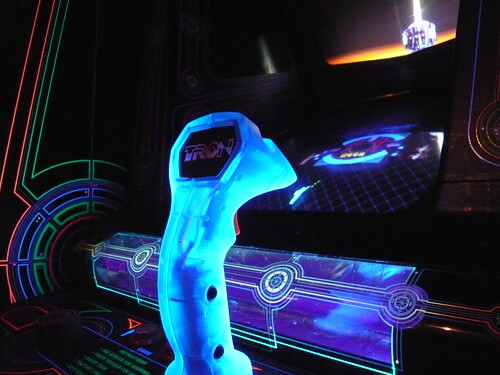 MCP Game – shoot your way through a multicoloured wall and enter the master control program cone without touching a block. Tank Game – navigate a maze and destroy the enemy tanks before they destroy you. Cycle Game – guide a light cycle in an arena, avoiding walls and the light traces left behind by the cycles and trap and destroy your rivals. The four subgames have to be cleared in order to move on to the next level. 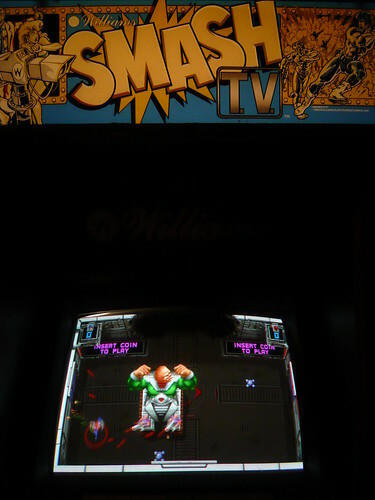 The games were fun, however I seemed to struggle with the cycle game, only managing to complete the first level once. 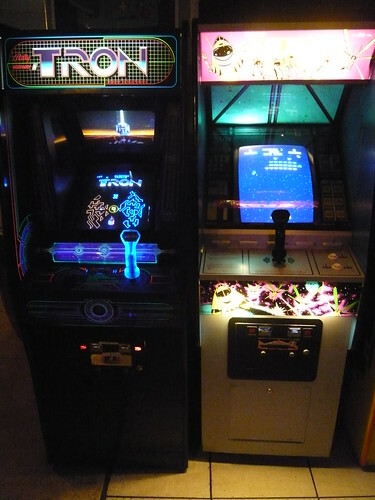 It was great seeing people play and enjoying these classic games. 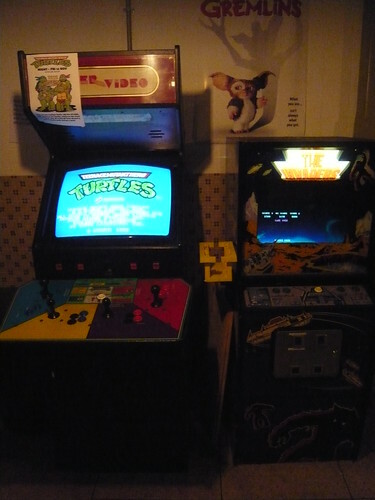 Turtles, Street Fighter II and Point Blank proved among the most popular, with these machines played pretty much non stop. 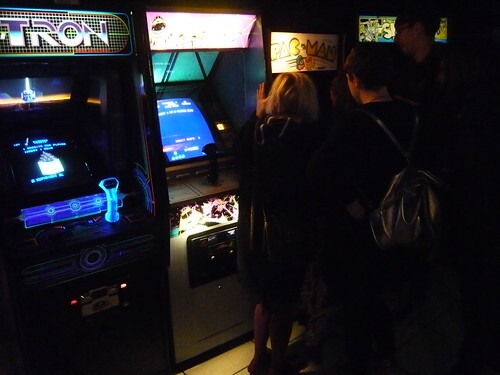 Pac-Man wasn’t far behind though and proved particularly popular with the ladies! 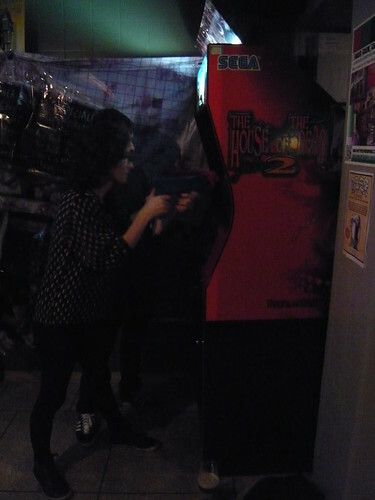 Halloween – the perfect time for killing Zombies. 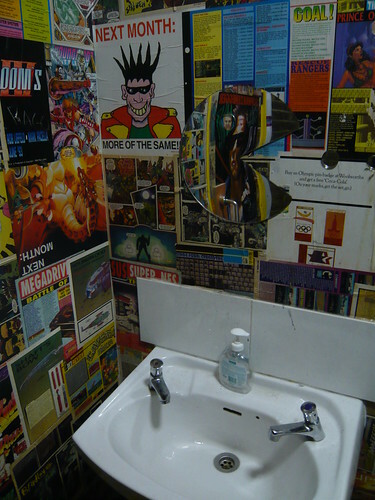 Even the toilets paid homage to gaming, with pages from nineties videogame magazines decorating the walls. A few of the magazine covers looked very familiar. I’m sure I picked a couple of these up back in the day! 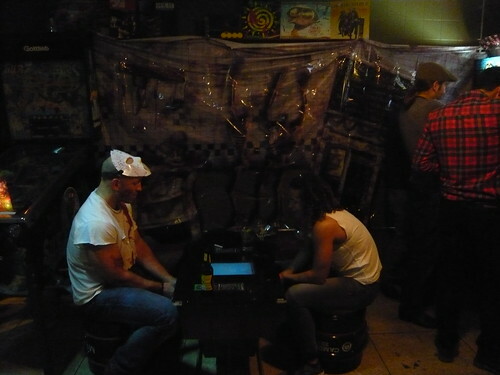 There was a multi-console set up in the upstairs chill-out lounge. 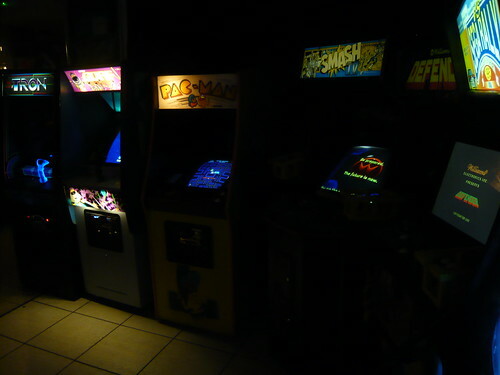 Of course all of the games were horror themed, and included The House of the Dead 2 (Dreamcast), Ghouls ‘n Ghosts (Mega Drive), Zombies Ate My Neighbours (Super Nintendo), Resident Evil 2 (PlayStation) and Maniac Mansion (NES). Horror movies were screened down stairs in the ex-butcher’s basement. 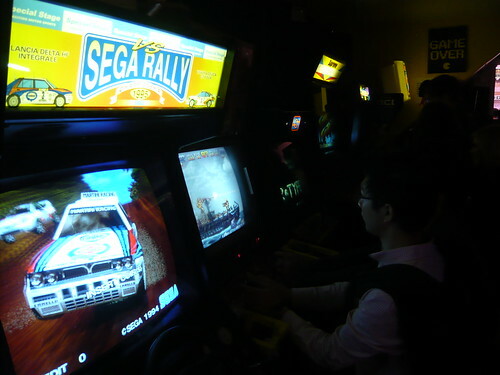 The arcade games were set at one quarter per credit, with quarters available from the bar or change machine priced at four for a pound. 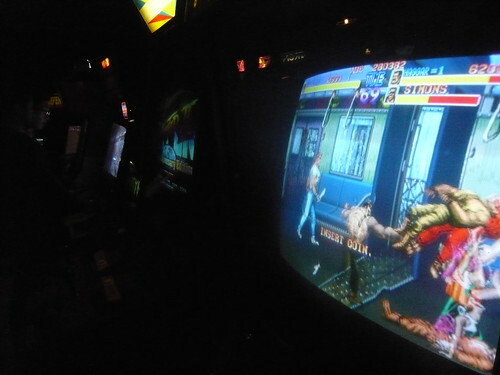 With a fantastic selection of arcade games, a great vibe and friendly staff, and an excellent range of cask beers, I had an awesome time at The Four Quarters.